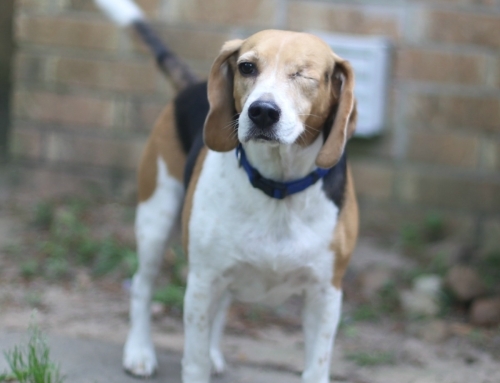 Hover over the image below to get more information and purchase the product from Walmart. Now THIS was FUN! 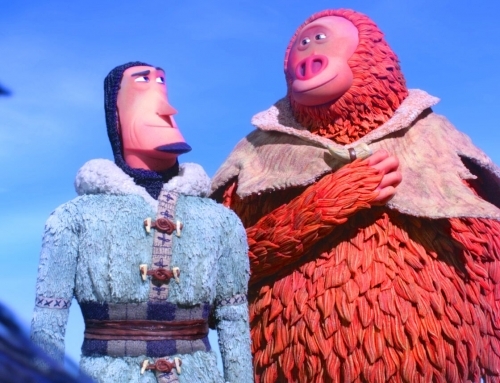 THE kids movie of the season is here and at Walmart and that means the traditional family movie night is in full gear. You can get Goosebumps 2 on Blu-ray, DVD and the Digital Combo Pack. Also, look for the Walmart Exclusive Goosebumps 1 and Goosebumps 2 movie collection on Blu-ray! Both movies are fun, exciting and funny. My girls love them! 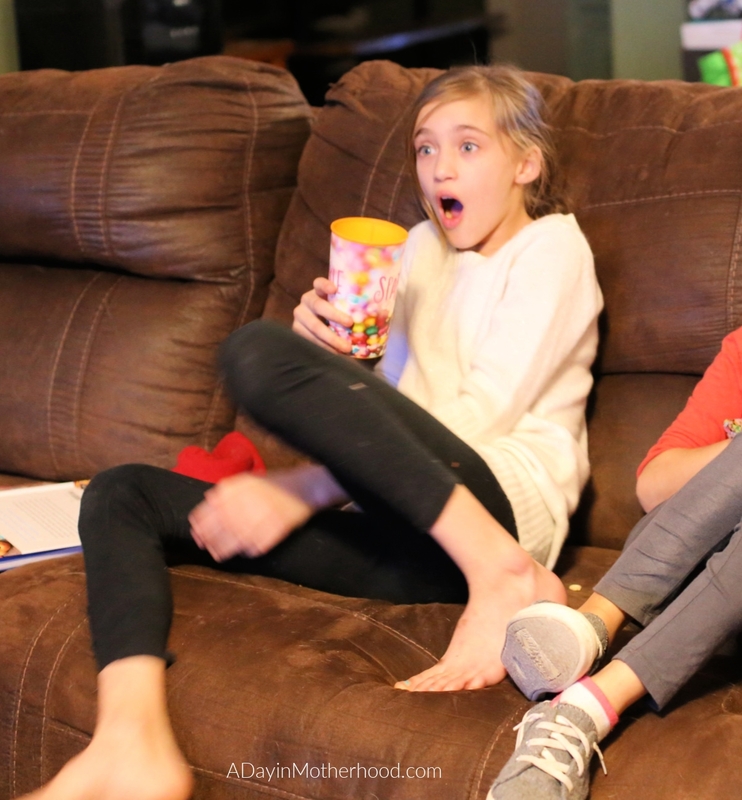 For this family movie night watching this spooky children’s movie, we went all out! Ghost Cupcakes, Vortex Cookies and a scavenger hunt to find the movie first were all a part of an exciting night! Let’s talk about the movie a little first! 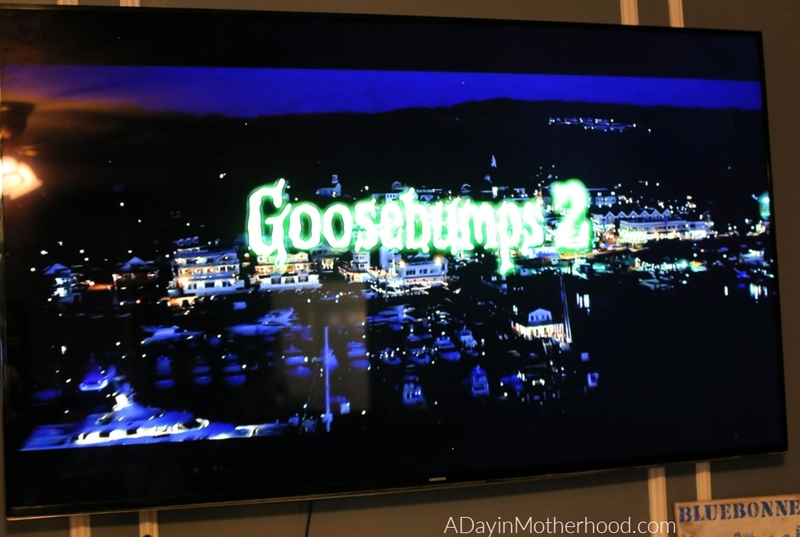 Goosebumps 2 is the second installment of the family-friendly franchise based on R.L. Stine’s beloved book series. 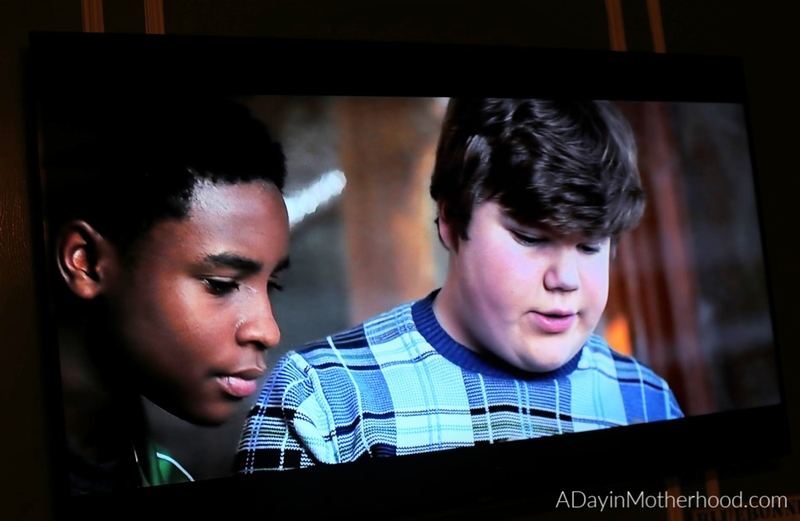 Starring Jack Black, Wendi McLendon-Covey, Chris Parnell, Ken Jeong, Madison Iseman, Jeremy Ray Taylor and Caleel Harris. Bonus features include a gag reel full of hilarious hijinks, three all-new deleted scenes and five featurettes. One scene in particular, the ‘gummy bear scene’, with the soon to be iconic line, ‘You won’t ever take me alive!‘ was side splitting laughter inducing! 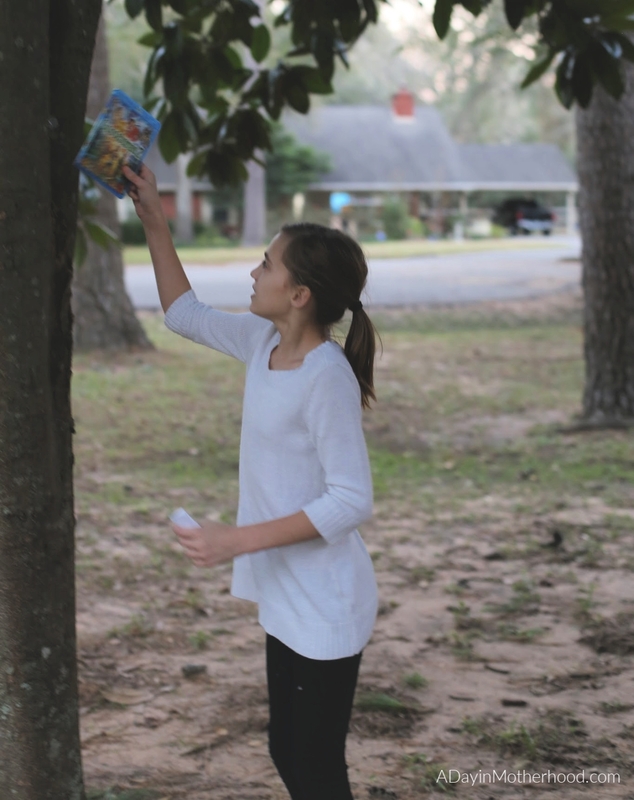 The message of the film is endearing and the action packed spookiness make it a film the kids will want to see over and over again. 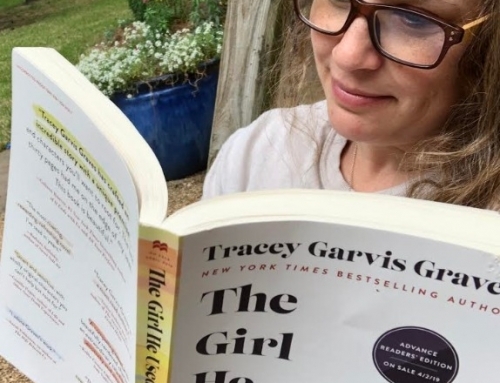 This is SO worth purchasing for your family library. Even I was surprised at how much I loved it! Because the movie is so fun I could not do just a ‘basic’ movie night. I had to go all out. 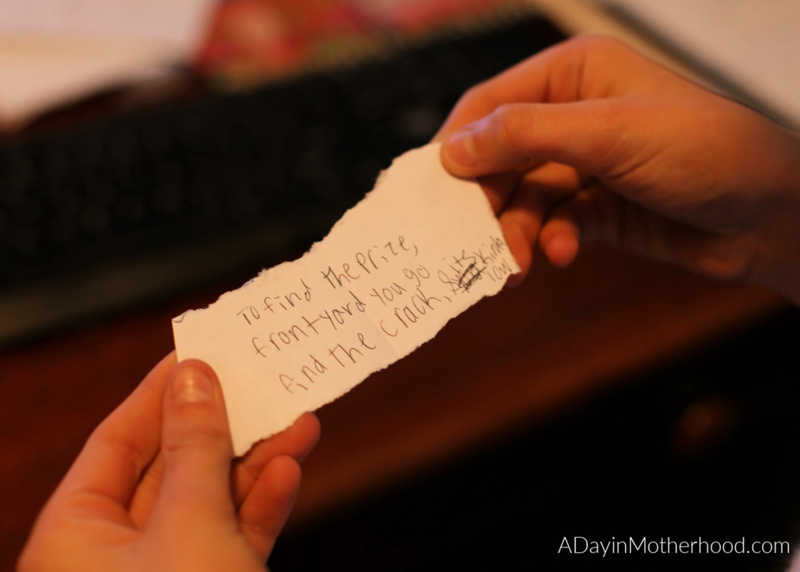 Before the children got home from school I set up a scavenger hunt. 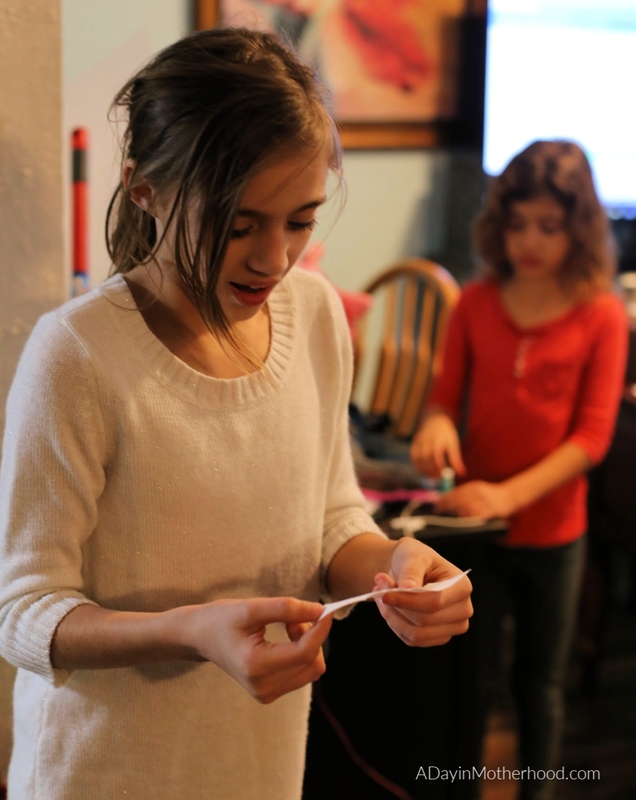 They have to work for their fun, after all! 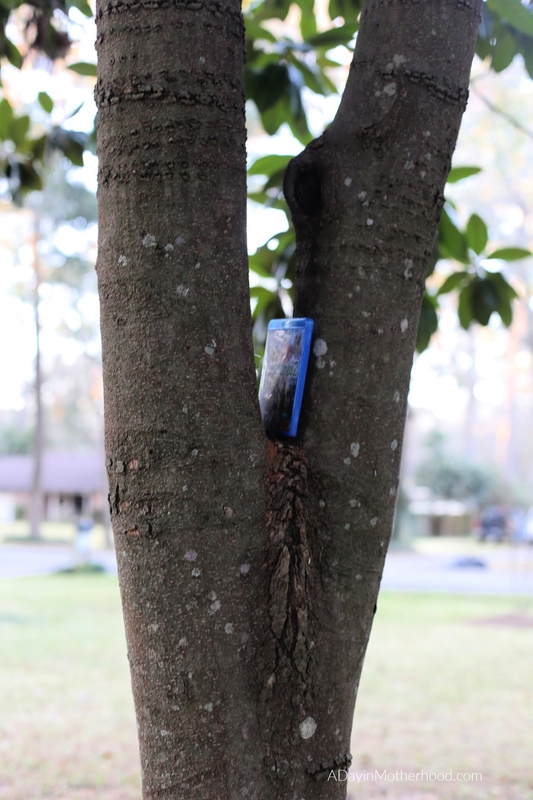 Clues led them around the house until they finally found the movie up in a tree outside. 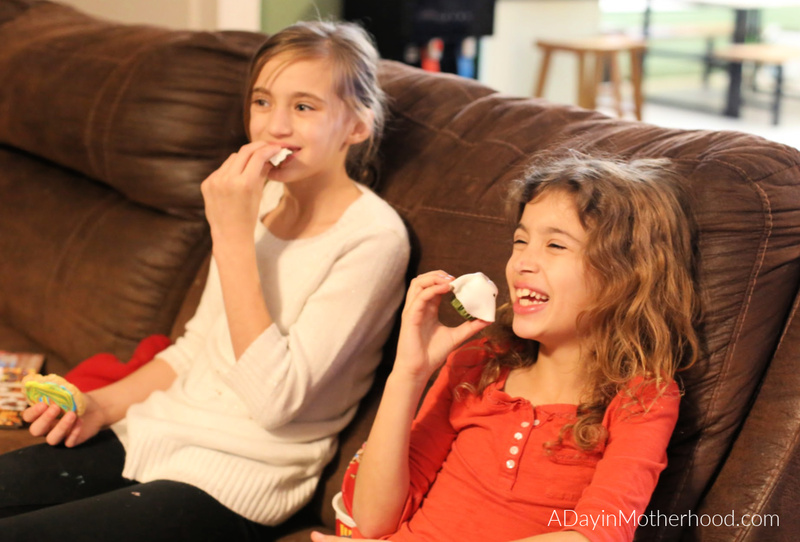 I also surprised them with not one, but 2 sweet treats to round out the family movie night. 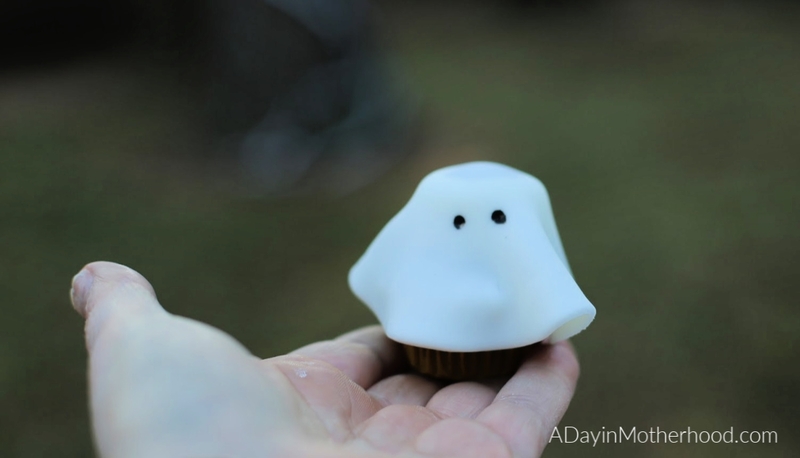 Ghost cupcakes, which are SO FUN and Vortex Cookies to emulate the book vortex in the movie. Both were super easy but let’s go step by step on the cupcakes. 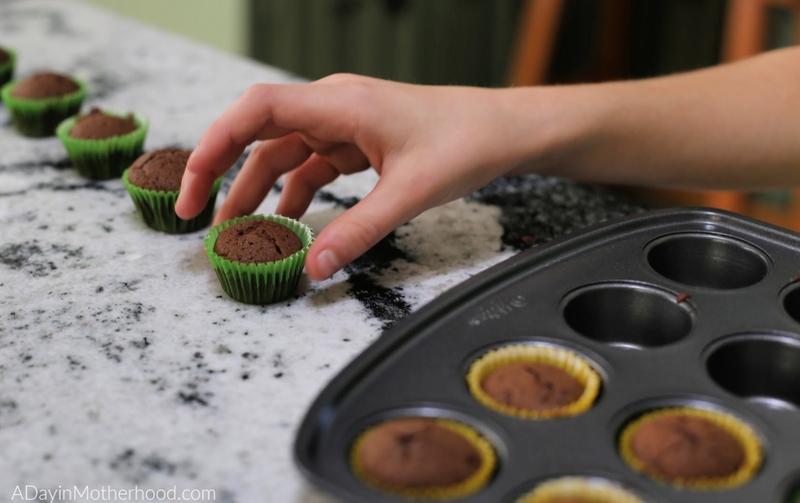 Start with your favorite chocolate cupcake recipe. 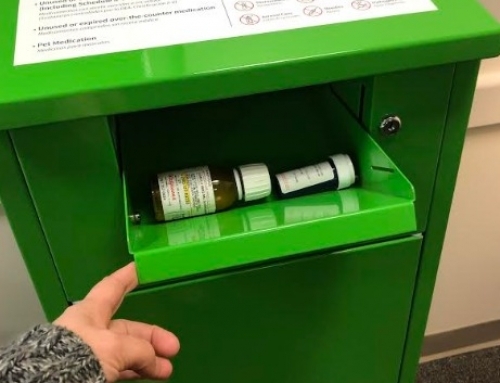 You can even use a box mix. We used the one below because they come out tasting like fluffy brownies and my children are in love with them. You will also see the steps to create the ‘ghost’ but we will go into more detail below the recipe as well. 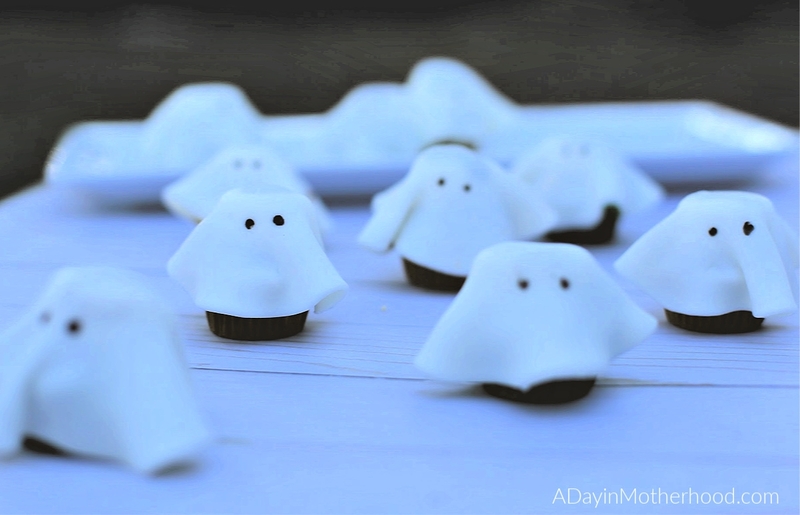 These Ghost Cupcakes start with Cocoa Chocolate Mini Cupcakes. They are fun and festive! Cupcakes: Heat oven to 350 and add liners to mini cupcake pan. In a small bowl, blend cocoa and water together until smooth. In a separate bowl, add flour and baking soda and sift together. With your electric mixer with a paddle attachment, cream together the butter and sugar until fluffy and smooth. Add the eggs, one at a time and beat until combined. Add in the cocoa and then the flour mixture slowly. Fill cupcake liners and bake 15 minutes. Set aside to cool. 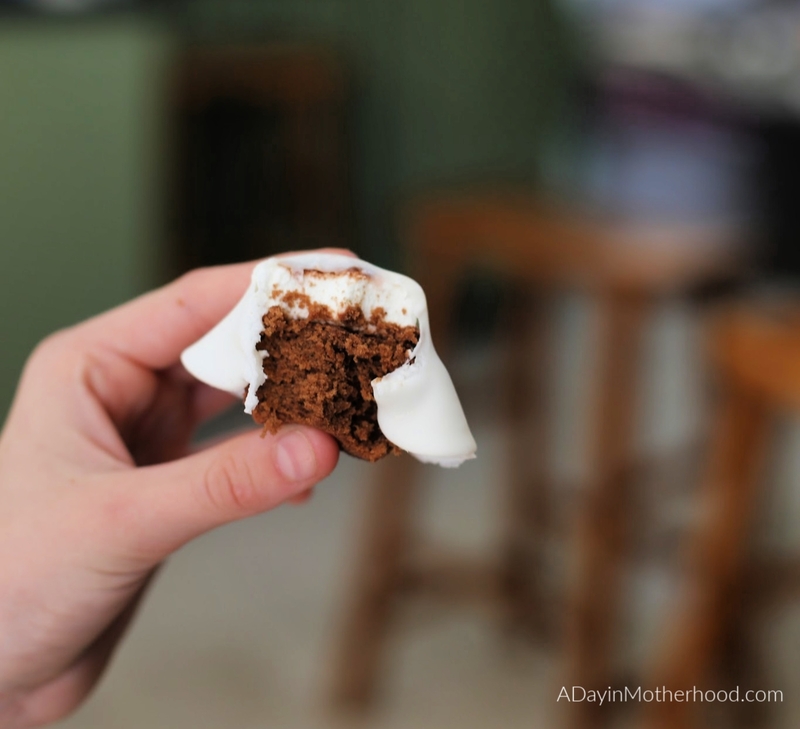 Using the hazelnut spread, affix a marshmallow to the top of a cupcake. We cut our marshmallows in half so that the ghost would cover better. 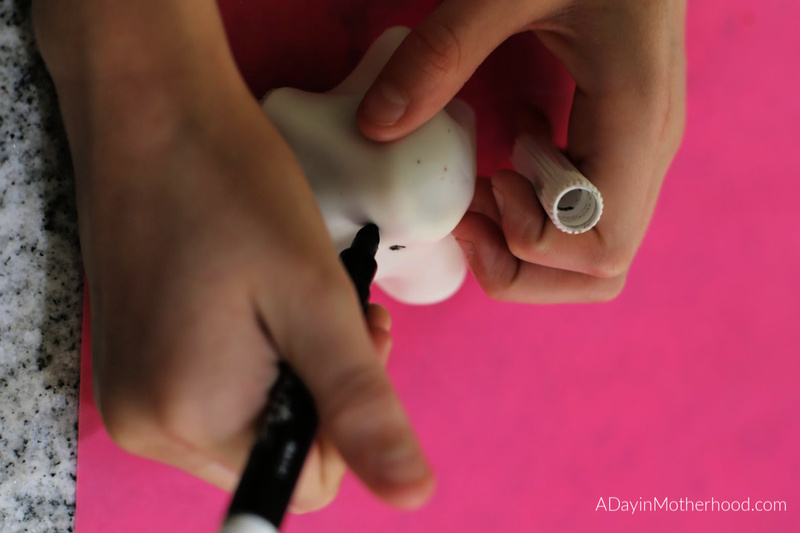 Top the marshmallow with a dot of spread so the fondant has something to stick to. 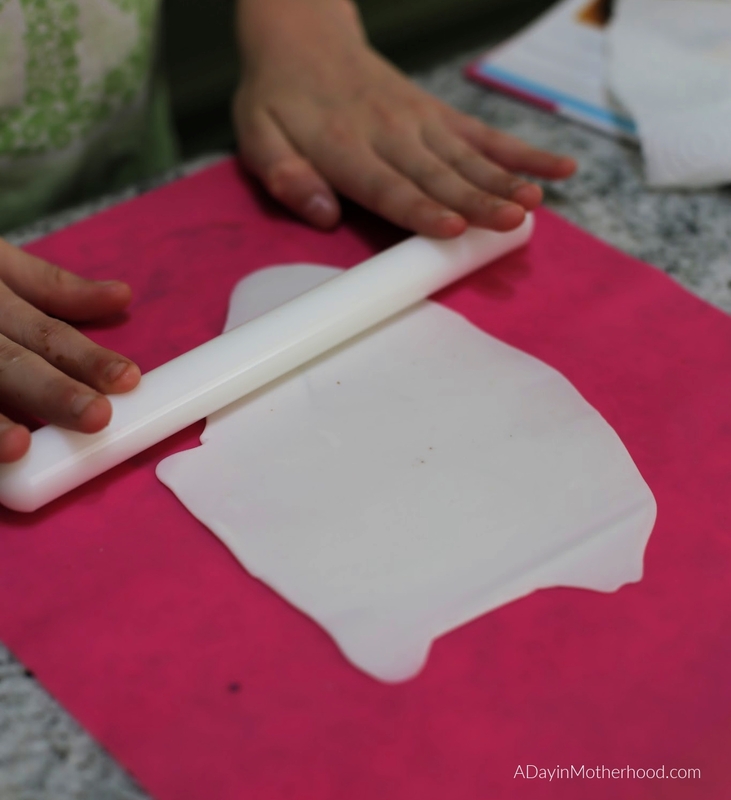 Roll out your white fondant to a thin layer, working with a little at a time to prevent dry out. Cut with the cookie cutter. Center over marshmallow and shape around to give a ghostly look. Add the eyes with the marker. As you can see, these are SUPER cute! My girls absolutely loved them. 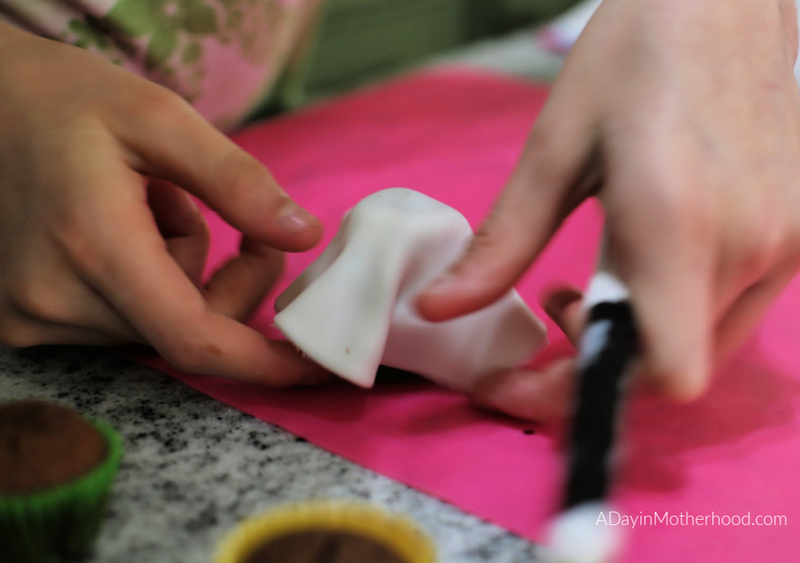 Use the fondant a little at a time as it can dry out rapidly. We were putting about 2-3 ghosts together at a time. 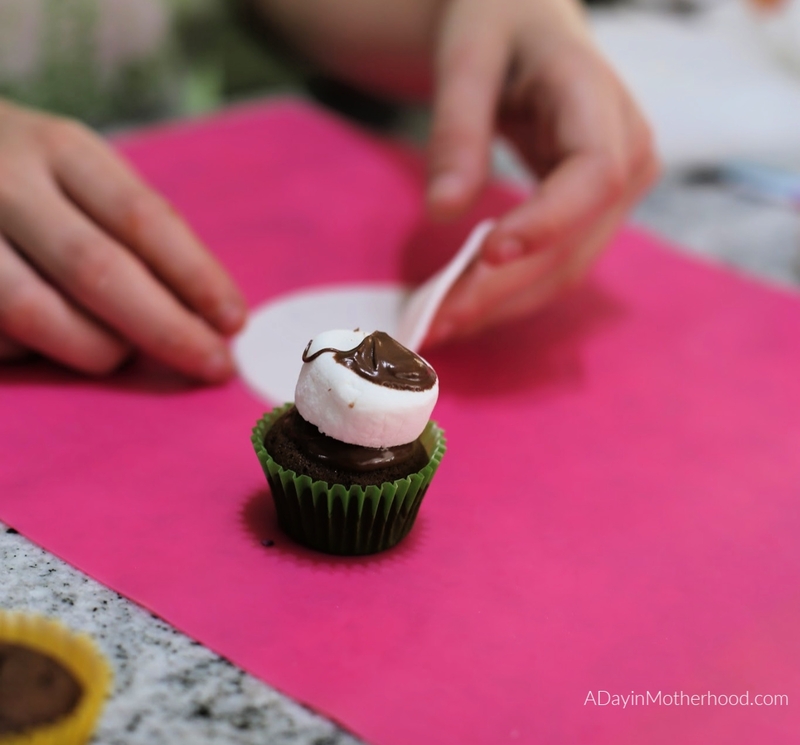 If you get hazelnut spread on the fondant – which can happen if little hands are helping – use a food brush with water to paint it off the fondant. Wrap the ghosts in plastic to prevent dry out if you are not eating them for a few hours to a day. 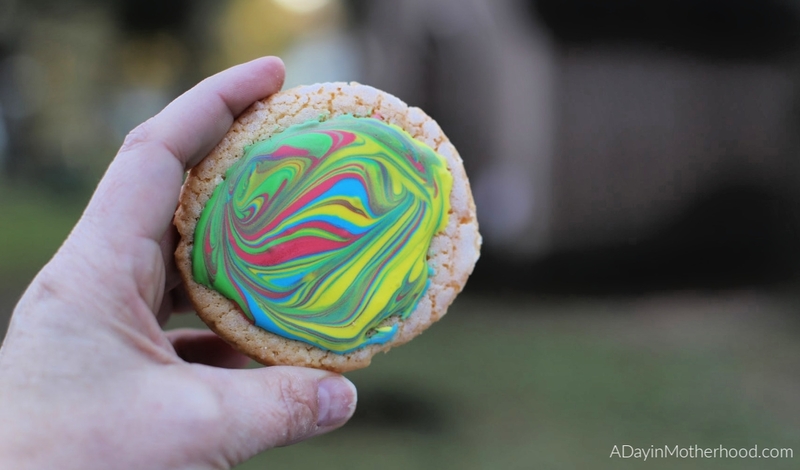 Now onto the Vortex Cookies, which will make sense as soon as you see the movie! You can also make these from a box but I chose my favorite sugar cookie recipe to do from scratch. The Royal Icing recipe is also in this one, which you will need for the Vortex swirl! 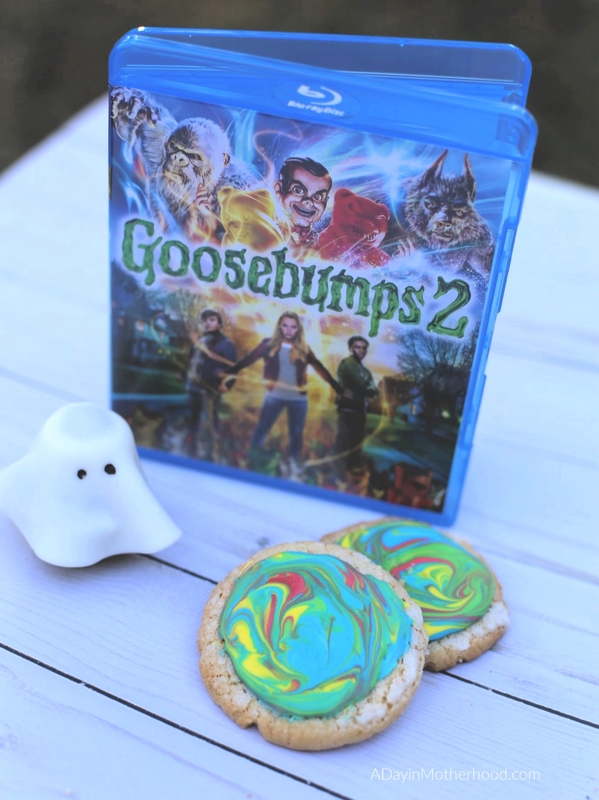 These Vortex Cookies are perfect for a Goosebumps 2 Family Movie Night! for Cookies: Prehet oven to 350 and place parchment paper on cookie sheets. In a mixer with a paddle attachment, cream together the butter, sugars, and oil until smooth. Add eggs (one at a time), vanilla, almond extract, salt and baking powder. Mix in flour slowly until well blended. Roll dough into one inch balls and place on sheet. 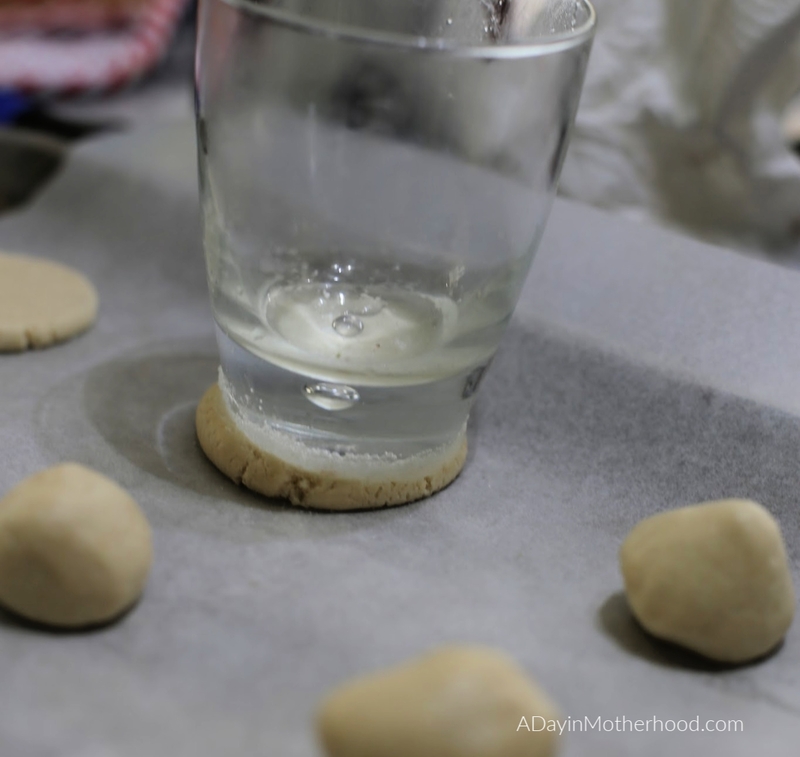 Take the bottom of a glass, dip it in water and then in sugar and then smash the cookies to ¼ inch thick. Bake for 10 minutes and completely cool. for Icing: In an electric mixer with the whipping attachment, add egg whites and lemon juice and beat. Add in powdered sugar and blend 10 full minutes, gentle pushing down ingredients on sides of bowl to mix completely. Transfer to 4 bowls immediately and add gel food coloring of your choice. 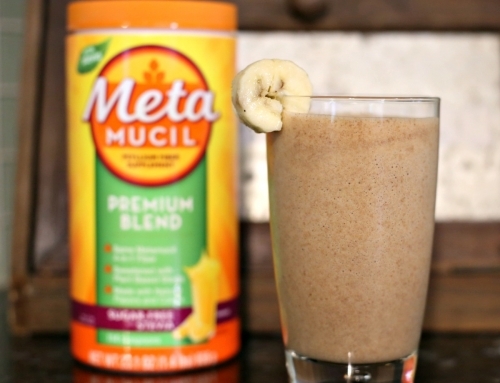 Blend completely. 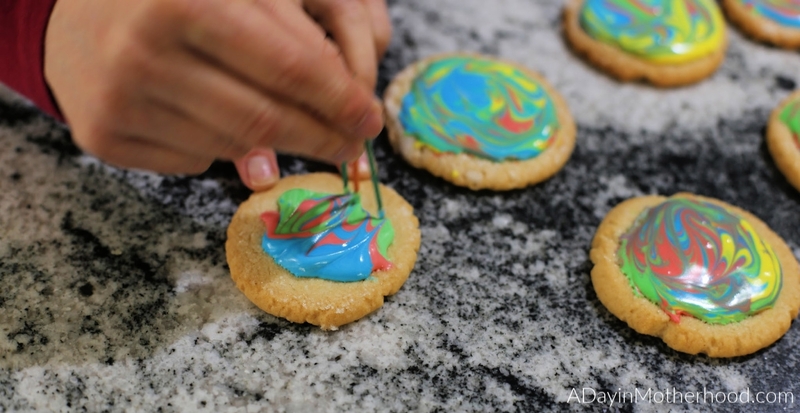 On a cooled cookie, add a line of each color to the top and, using 3 toothpicks, swirl it around to complete the circle. let dry completely. 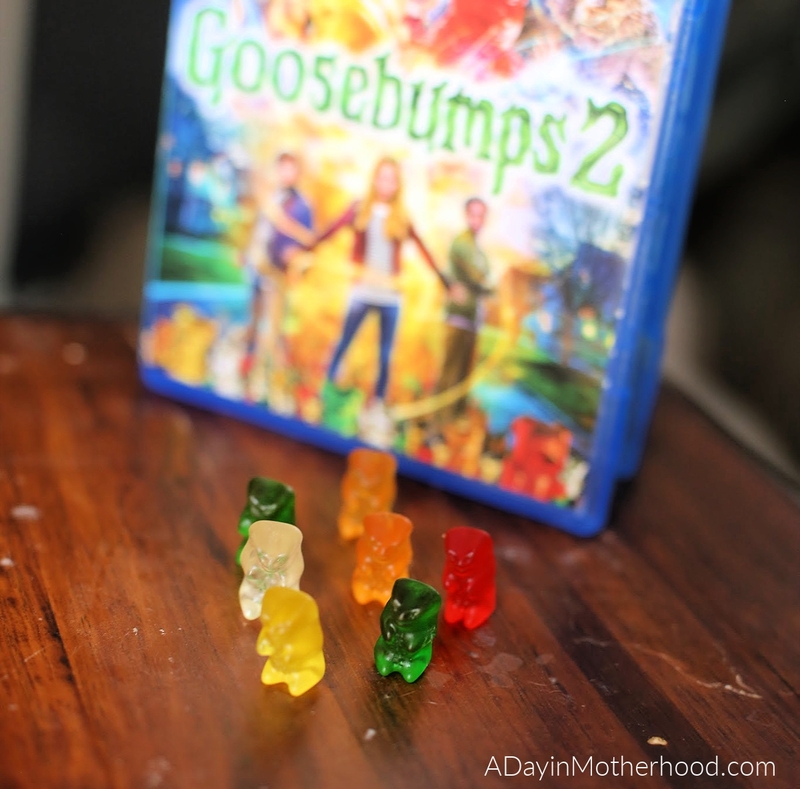 We LOVED them and, when you see the movie, you will see why they are the perfect snack for a Goosebumps 2 family movie night! Rated PG, Goosebumps 2 is a fun-filled family adventure your kids – and you – will love. Pick up your copy today at Walmart and plan your movie night that will thrill everyone!